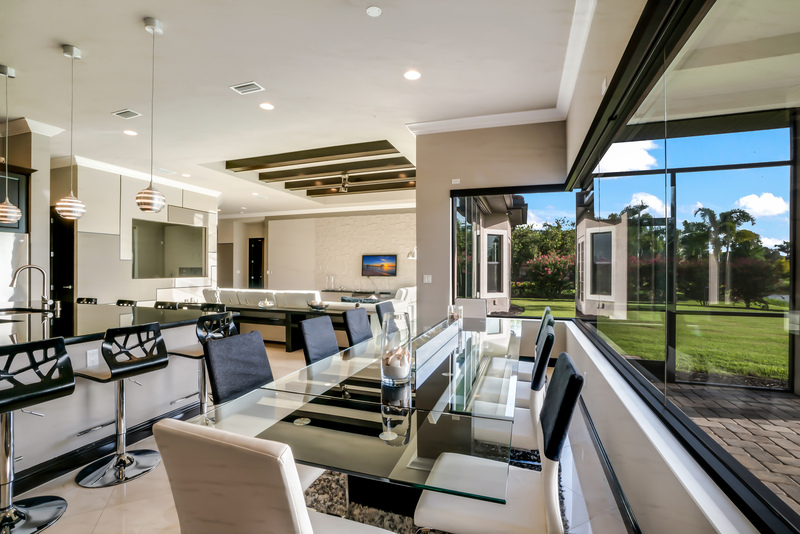 This estate within the Country Club East area of Lakewood Ranch, Florida embodies a world of sleek sophistication in its over 4,700 square feet of artistically crafted and inspiring modern spaces. 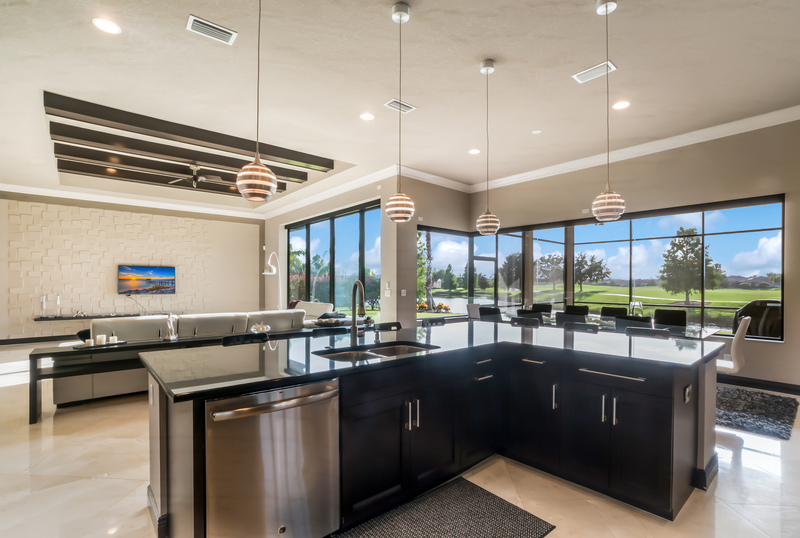 Located on an oversized cul-de-sac lot, this 2014 custom-built home overlooks sweeping sunset, lake and golf course views. A soothing color palette of creams and neutrals play counterpoint to windows that fill the rooms with light and majestic vistas of emerald fairways. 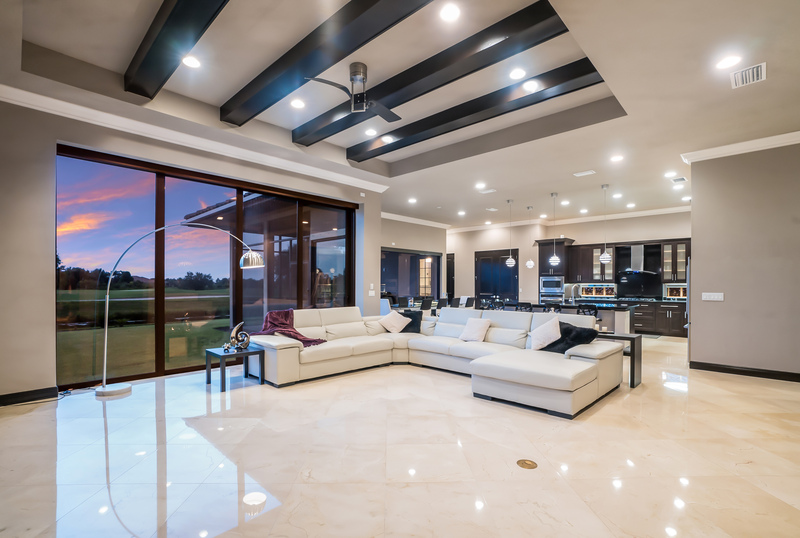 A soaring great room with floor-to-ceiling four-panel pocket sliders extends the living area to the outdoors. High-end finishes frame the setting and include crown molding, wood beams, marble floors, electric shades and plantation shutters. The gourmet kitchen offers stainless-steel appliances, double refrigerators, expansive counter height island, custom cabinetry, glass tile backsplash and granite surfaces. 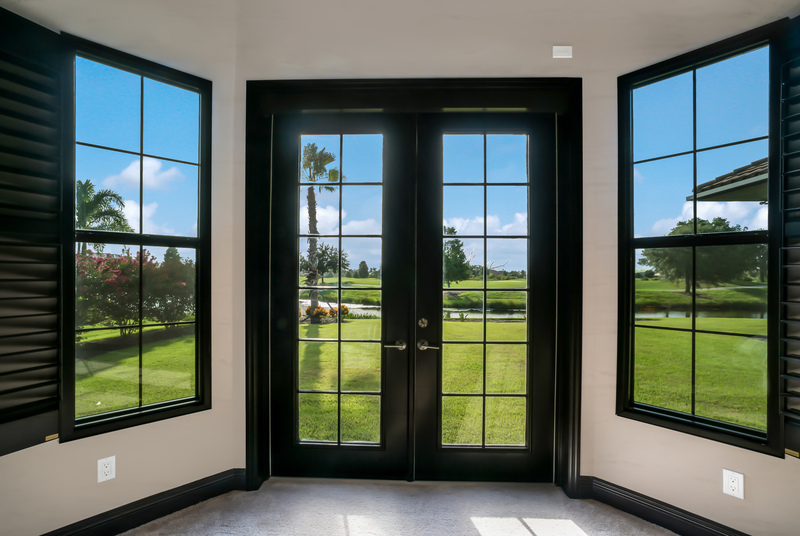 The master suite frames captivating vistas while offering complete privacy, its bath features a sumptuous soaking tub, dual shower head shower, his and her vanities, water closet with bidet and three walk-in closets. Three more bedrooms provide space for loved ones while an upstairs bonus room can adapt to your needs and offers a dreamy viewing terrace. 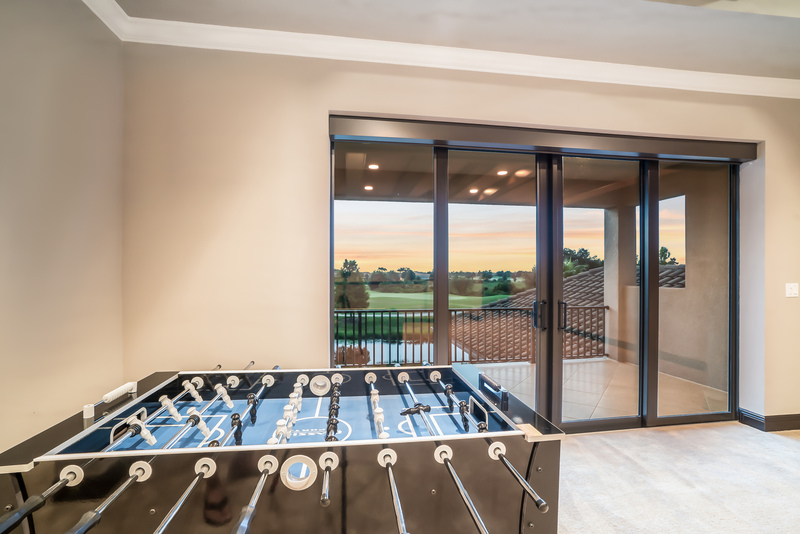 A den off the great room enjoys views abound, while a screened lanai is perfect for grilling or reading a book. The expansive backyard offers a perfect setting for your dream pool. 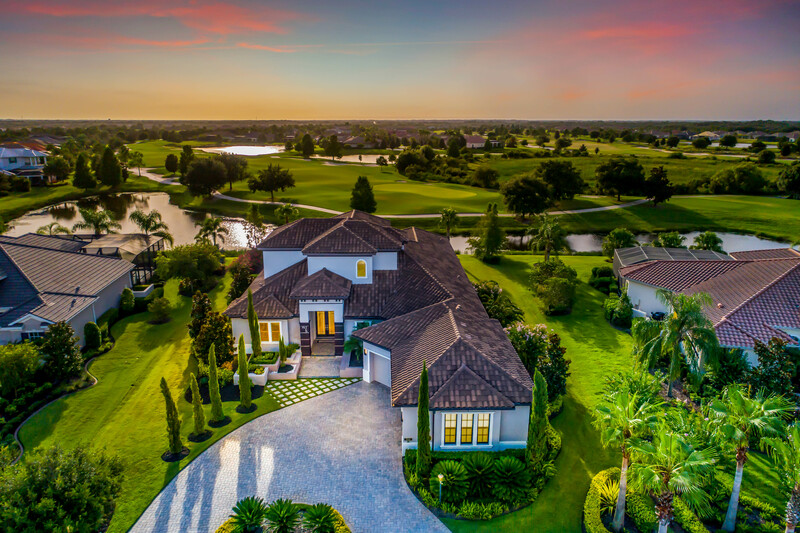 Lakewood Ranch has been named the second top-selling master-planned community in the U.S. with residents drawn to its live, work, play lifestyle. 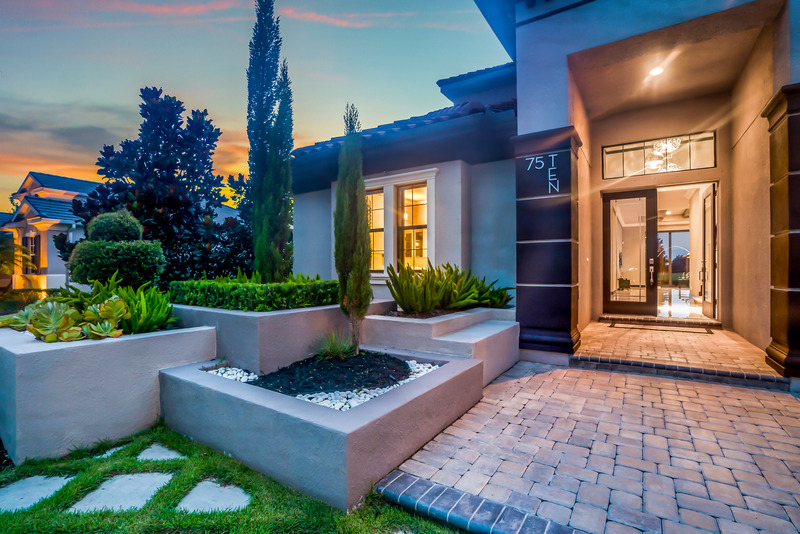 This home is listed for $1.25 million with Michael Saunders & Company, an affiliate of Luxury Portfolio International.